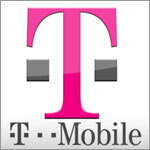 T-Mobile issued an announcement that it’s changing up its smartphone data plans, effective Sunday, July 24th. First off, the Even More plans will now be known as “Classic,” and there are a whole host of new “Value” plans. In all cases, T-Mobile emphasizes that there are no overage fees. If you’re not already aware, Tmo’s not fond of slapping users with penalties when they exceed the limits, so to discourage abuse, they throttle down to Edge speeds instead. Now here’s the small print: If you pick a Value plan, the carrier won’t subsidize your smartphone. That means you pay the full retail price for your device. Having said that though, at least you can make a down payment and spread the rest out over small monthly payments over the next 20 or so months, so you don’t have to pony up all the money in one shot. In other words, it’s pretty similar to the carrier’s now-defunct Even More Plus plans, except that Value (as well as Classic) requires a two-year contract. For example, say you want a MyTouch 4G Slide. You have two choices: Snag the subsidized price of $199.99 and go with the Classic plan, or get with the cheaper Value plan, but pay the $499.99 full retail price of the phone. It seems like a lot of money, but you can portion that out as a $249.99 initial payment and $15 per month for 20 months, to pay it off. If you do the math, option 2 (full price with Value plan) is actually a slightly better deal. But is a few bucks per month worth all the fuss? Only you and your wallet can answer that. If you don’t feel like doing math, you could just stick to your Even More/Classic plan and forget about it. Or just bring your own handset to the carrier. The Monthly4G No Annual Contract plans and Pay As You Go plans aren’t going anywhere. Anyone considering a Value plan? Sticking with a Classic option? Or is Sprint‘s “Everything Data” (with 450 minutes and unlimited data for $70) looking more attractive? Weigh in. T-Mobile USA, Inc. today announced new Value plans, making it more affordable than ever to step up to data on America’s Largest 4G Network™. 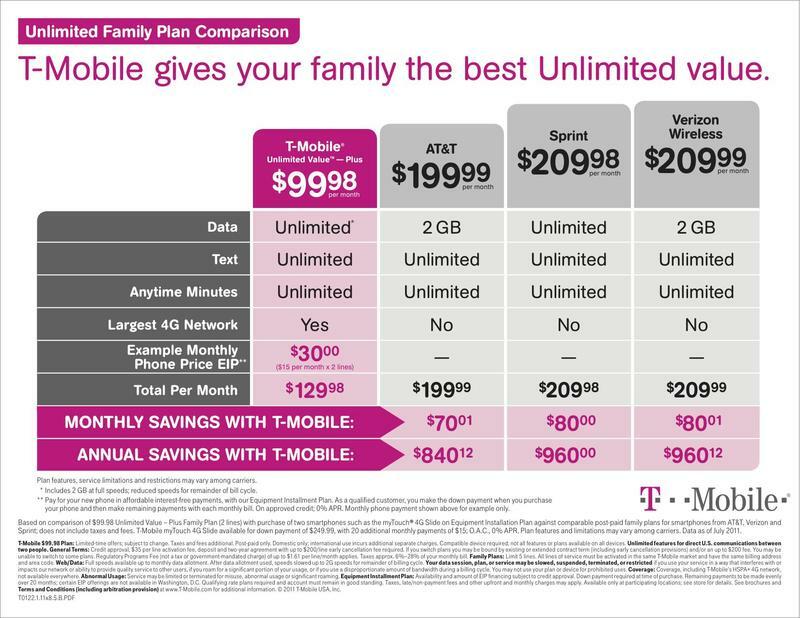 Featuring flexible pricing for unlimited data and available with affordable monthly payments on any of T-Mobile’s phones and mobile broadband devices, including the latest 4G smartphones and tablets, the new Value plans could save customers hundreds of dollars annually. With the new Value plans, customers are empowered to purchase any product in T-Mobile’s innovative device lineup or bring their own device and have access to the company’s best pricing. With no overages on the new unlimited plans and flexible terms, customers can pick the wireless data plan that best fits their needs and choose how they want to pay for their device. Value plan customers who purchase a device can pay an upfront down payment on a new device and make low, interest-free payments for the full price of the product while still getting T-Mobile’s best available rates on monthly service. * T-Mobile will continue to offer its traditional plans under the new T-Mobile Classic plan brand, previously called Even More™ plans. * Based on comparison of $99.98 Unlimited Value — Plus Plan (two lines), with a $15 per month smartphone payment per line, against comparable post-paid family plans for smartphones from Sprint, AT&T and Verizon Wireless; does not include taxes and fees. T-Mobile myTouch® 4G Slide is available for a down payment of $249.99, with 20 additional monthly payments of $15; O.A.C., 0 percent APR. Plan features and limitations may vary among carriers. Data as of July 2011.